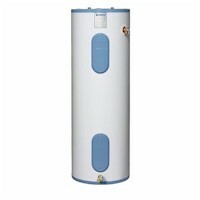 Whether you are building a new home or replacing an older unit, a water heater is a necessity. In selecting your water heater, there are more options today than ever before. Standard Storage - Uses a water tank in which cold water is added to the bottom of the tank and heated to a preset temperature. Hot water is siphoned from the top of the tank. Regardless of whether or not you use any hot water, the tank is always full and heated, waiting for demand. This type of system is by far the most popular in the US. On-Demand / Instantaneous / Tankless - Cold water travels through a heating element, is heated, and then directly routed to the hot water supply of the house. No tank is used to store heated water. On-Demand systems have the benefit of not having to heat a tank of water when it is not needed, this can reduce fuel costs by 20% or more. However the flow rate of the heater must be matched with the maximum draw of the house. In addition, some on-demand systems won't kick in at low flows, i.e. if you want a little bit of hot water to brush your teeth, you may have to turn the faucet on full for a few seconds to trigger the heater. Tankless (Yes, its a bit confusing with the On-Demand systems) - These systems use the home's furnace / boiler to heat water without a tank. This system is less efficient in warm locations where the furnace may not be in use to heat the home. Heat Pump - These systems transfer heat already in the home to the water supply. They require a hot spot in the house, such as a furnace room, from which they can transfer the heat. Solar - These systems use the sun to heat water, then store the hot water for consumption. There are many different type of designs. These systems only make sense in warm climates. Point-Of-Use - These systems are smaller and built to supply only one use (usually a sink). They can have a small tank or be tankless. They are ideal for locations that are far from the main water heater. 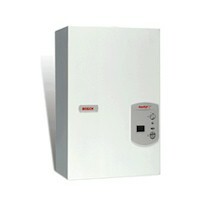 Size - Standard storage water heaters have capacities between 20 and 80 gallons. On-Demand water heaters have a flow rate usually between 2 and 4 gallons per minute. Fuel Type - many of the standard storage and on demand systems are available in electric, gas and propane versions. Energy Efficiency - is measured by how effectively the energy is transferred to the water, the standby loss, and the cycling losses. The higher the energy efficiency the more efficient the unit. Electric heaters generally have Energy Factors (EF) between .70 and .95, gas heaters between .50 and .80. Response - some systems, such as On-Demand heaters, require a certain flow level for the heating elements to kick in. If you have a larger or more spread out house, a circulating hot water system can ensure that the water will always be hot immediately. Compare efficiency and fuel types. Choose a water heater that meets your needs at the best cost.